Polyphony Digital puts the power of one of the most acclaimed racing franchises of all time in the palm of your hand with Gran Turismo PSP. Since the very first Gran Turismo title, Sony's racing series has been lauded for three things: realism, graphics, and its massive stable of drivable vehicles. Now the game finally makes it to the PSP after being first teased around the time of the handheld's launch in 2005. After years in development, has Polyphony managed to successfully transfer those three features onto the portable device? Assembled video game critics, start your engines! If Gran Turismo PSP was a race car, it'd have go-faster stripes, a fat exhaust and an engine that roars like it wants to take off. But it'd spring an oil leak off the start line, bellow smoke all over the place and fart its way over the finish line. 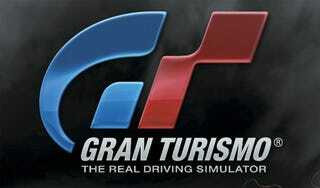 This is Gran Turismo. The big boy. The game that should define PSP. It's been in development for absolutely yonks. Now we've played it extensively we find ourselves wondering what Polyphony has been doing with it since 2004 because this is not at all the game we expected. ...the handling model may be cut straight from Gran Turismo 4 - something Polyphony actually claimed to have achieved on PSP as long ago as September 2006 - but that handling model was and remains a cut above the majority of comparable handheld titles. There's real subtlety across the more than 800 vehicles available for purchase, allowing you to appreciate the difference not only between cars with different drivetrains, tyres and performance settings, but between different cars with the same drivetrains, tyres and performance settings. When you boot up the game, you'll have four dealers to access and 100,000 credits to spend on a car, which is a gracious sum. Once you buy a car, you can participate in a few events. As the days roll on in the game, a new set of four dealerships will be made available to you. But, just because you can access a Nissan dealer, doesn't mean you can have the ability to buy any of their cars. No, no. If you don't see a GT-R or a 300ZX TT, you have to wait until the next time Nissan becomes one of the four dealers you can shop at and see if the assortment of cars features the ones you want. Yes, it's that complicated, confusing, and stupid. The game manages to throw around the exact same courses that we enjoyed in Gran Turismo 4 on the PS2 with remarkably few cut-backs – yes, the texture detail is lower, there's obvious seams in the tracks, the polygon count is a little less on the roadside objects and the lighting rather passive, but given the framerate and the four nicely detailed cars on screen (throughout all the modes, including the drift races) any slight feelings of last-gen can be forgiven. Polyphony have wrung more out of the PSP than anyone else has, with the possible exception of Ready at Dawn, and managed to represent that clean, sharp Gran Turismo aesthetic almost perfectly. The sound's exactly what you'd expect, too – multi-note engines, skidding on every corner and music seemingly pulled from Vidzone's current top twenty with the likes of The Prodigy headlining the licensing. Make no mistake, this is Gran Turismo as you remember it but on a handheld, and done in a way that betters what I imagined was possible. It looks great, plays superbly and has an absolute ton of content to work through. It's impossible not to feel more than a little let down by what's missing, though. A more structured career mode would have been great, online leaderboards and ghosts simply should have been included, and the lack of online play is bitterly disappointing. Who knows what will be added to the game post release, but as it stands we've got the ultimate handheld driving game with a fairly bare bones feature list. Buy it, spend hours earning credits and buying cars, and try to overlook the glaring omissions without shedding a small tear.